For most pet parents, our animals are like our children and depend on us for everything . . . . food and water, grooming, shelter, and healthcare. That is why there is nothing worse than seeing them under the weather or in pain. Just as with any stressful situation, it is important not to panic and to stay as calm as possible. Animals sense our emotions, often through smell, therefore the best way to keep them calm is to make sure you are calm. 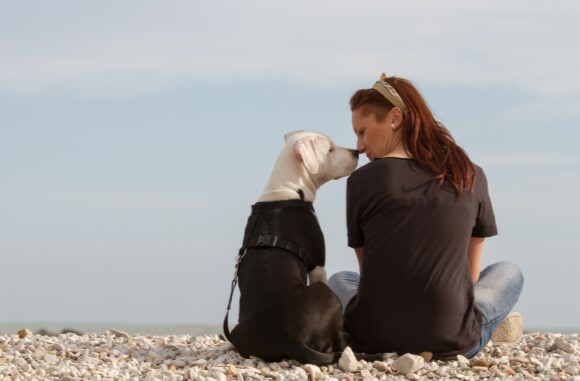 One of the biggest challenges a pet parent or animal caregiver can face in a moment of crisis or stress is trying to communicate with their animal. It is far easier to read an animal when that animal trusts you. You know your animal(s) better than anyone, therefore using common sense and your natural instincts can be very helpful. When used properly and when keeping key facts in mind, essential oils are very effective in providing our animals with natural / holistic care that works! I personally keep several essential oils on hand that are perfect for animal first aid. 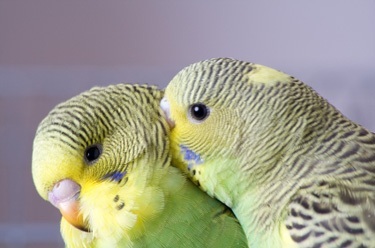 Knowing what you have on hand, which oils are most effective for any given situation, and what amount and frequency is appropriate for each animal in your care is crucial. * I will preface this next section by stating that the ONLY essential oils I use and recommend are Young Living Essential Oils, as they are 100% pure, therapeutic-grade and have been proven to be safe and effective time and time again. As a holistic consultant, energy healer, animal Reiki practitioner and lifelong pet parent, I only trust Young Living for my clients and my own animals, as well as for myself! ~ The key to using essential oils with animals is to always go very slowly! Do not rush and do not force them on your animals. Most animals will respond much better to essential oils if they are comfortable with you and with the various scents of essential oils. Also, introducing them slowly will avoid creating any negative experiences or promoting any adverse reactions to the oils. Animals are highly sensitive to odors and may find a new smell too intense in the beginning. ~ An aversion to essential oils may be a simple dislike to the oil (or oils). This usually occurs when an oil has been aggressively introduced or improperly used. For example, an animal's face, nose or feet are highly sensitive areas, therefore any new smells must be introduced slowly and carefully. Aversions can arise very quickly and may take a long time to overcome, so the more time and patience you use introducing the oils, the better. ~ Avoid using hot or irritating oils on your pets. If you are in doubt about comfortably using a particular oil on your animal(s), it is always best to err on the side of caution and find a suitable alternative using common sense and good judgment. Please feel free to Contact Me should you have questions or wish to get started on your own amazing essential oils journey . . . . for your animals and for yourself! For more information, please visit her Facebook page to PM her (https://www.facebook.com/HolisticPetsNPeeps), or email her at HolisticPetsAndPeeps@gmail.com. Essential oils have been used very successfully on many different kinds of animals from kittens to 2,000-pound draft horses. Animals generally respond to essential oils in much the same way as humans. What Kind of Essential Oils Are Best? When using essential oils for your animals, and even for yourself, you want 100% pure, therapeutic-grade essential oils, not the perfume-grade, adulterated oils you get at the health food store or online. 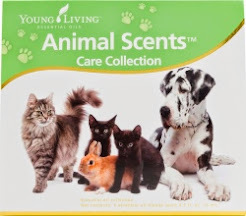 The ONLY brand I use for my animals and myself is Young Living Essential Oils. Young Living is proud to set the standard for essential oil purity and authenticity by carefully monitoring the production of our oils through our unique Seed to Seal® process. From the time the seed is sourced until the oil is sealed in the bottle, we apply the most rigorous quality controls possible to ensure that you are receiving essential oils exactly the way nature intended. 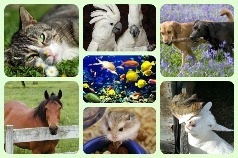 Most animals are more sensitive to the effects of essential oils than humans. They often seem to have a natural affinity to the healing influence of the oils. Adjust dosage proportionately, based on the animal's body weight. If the protocol for a human being at about 160 lbs. calls for 3-5 drops, then a horse at 1,600 lbs. or more could use as much as 10 times that amount while a dog at 16 lbs. would need as little as one-tenth that amount. Generally speaking, if you have never put oils on an animal before, you should start carefully, applying them only to the feet, paws, or hooves (on the frog and coronet band) at first. In the case of cats and small dogs, essential oils should ALWAYS be diluted before applying, because they are actually MORE sensitive to the biochemicals in the oils than humans. Be careful to avoid high phenol oils, such as oregano and thyme, on cats because they can be extremely sensitive to these stronger oils. They should only be used in high rates of dilution (90%). ~ For small animals (cats and small dogs): Apply 3-5 drops of diluted (80-90%) oil mixture per application. ~ For larger animals (large dogs): Apply 3-5 drops neat (dilute if using oils high in phenol) per application. 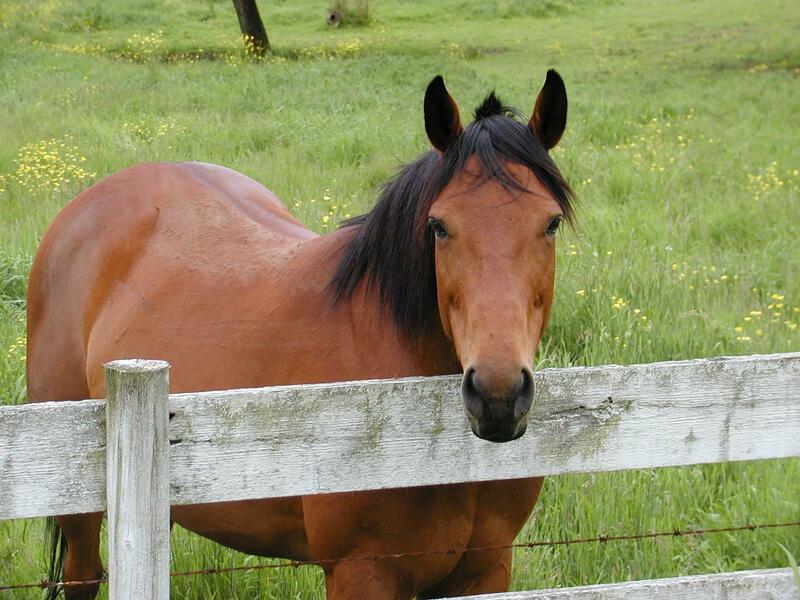 ~ For large animals (cattle and horses): Apply 20-30 drops neat (dilute if using oils high in phenol) per application. For ingestion, the essential oils can be put into a capsule and mixed with the animal's food. A few drops could be added to gravy on food when administering to dogs or cats. On large animals, the animal's bottom lip can be pulled out and (for example, in the case of the horse) 10 or 15 drops of oil put in. The animal will feel the effect quickly because capillaries in the lip will carry the oil into the bloodstream immediately. For a large dog, 1 to 3 drops is sufficient. When treating animals with essential oils internally, make certain the oils used are pure and free of chemicals, solvents, and adulterants, which is why I only recommend using Young Living 100% pure, therapeutic-grade essential oils. ~ When treating large animals for viral or bacterial infection, arthritis, or bone injury, generally use the same oils and protocol recommended for humans. ~ For applying to large, open wounds or hard-to-reach areas, it helps to put the oils in a spray bottle, dilute the oils with V-6 Vegetable Oil Complex, other high-quality vegetable oil, or olive oil, and spray the mixture directly on the location. 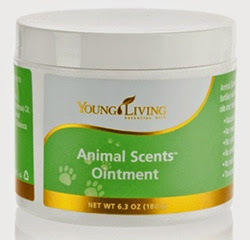 ~ After applying oil to an open wound, cover the wound with Animal Scents Ointment to seal and protect it from further infection. The ointment will also prevent the essential oils from evaporating. 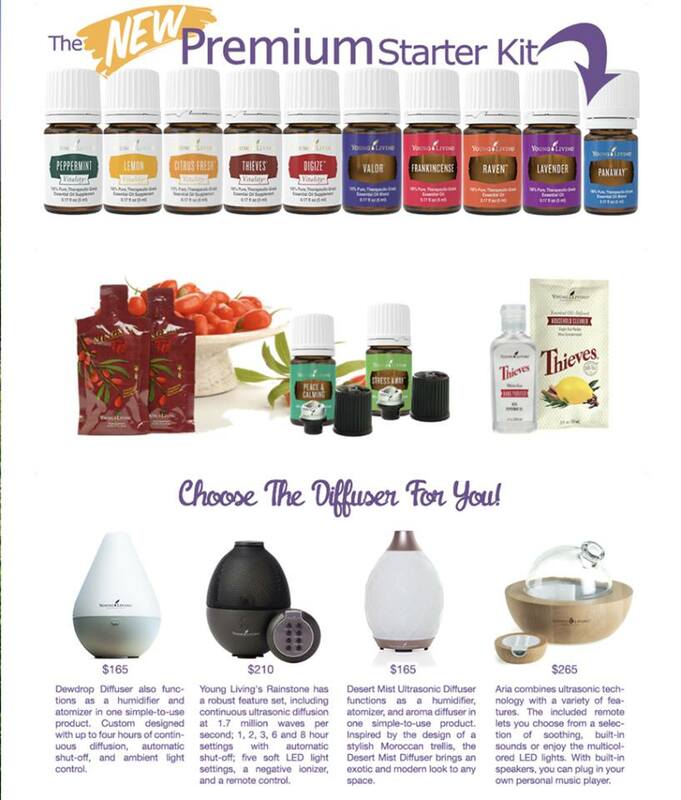 ~ There is no right or wrong way to apply essential oils. Every animal is a little different. Use common sense and good judgment as you experiment with different methods, however, be sure to carefully observe how the animal responds to the treatment. ~ Take special care not to get essential oils in the animal's eyes. ~ Make sure the animal is drinking pure water. Chlorinated water will suppress thyroid and immune function in animals even quicker than in humans. When that happens, you will suppress the healing process of that animal, whether it is a dog, horse, or cat. 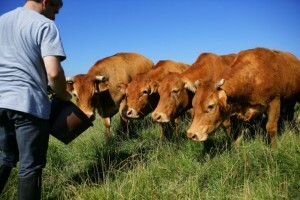 ~ Quality protein is vitally important to promote healing, which makes the use of organic feed essential. Unfortunately, many commercial feeds contain bovine byproducts that have high risk for BSE disease and make them unfit for animal care. Avoid these at all costs. Enzymes are also essential to maximize digestion and protein assimilation. For animals without hooves, such as dogs or cats, oils (neat or diluted) can be applied to paws for faster absorption. For hooved animals, sprinkle a few drops on the spine or flanks and massage them into the skin. You may also apply the oils on the gums, tongue, frog, coronet bands of hooves, or underneath the top lip. Oils can also be applied to the auricular points of the ears. If you have a high-spirited, jittery animal that will not be still to receive the application, apply Peace & Calming and/or Valor on yourself first. As you approach the animal, it should react calmer as it smells the aroma. Kneel down or squat beside the animal and remain still for several minutes so that it can become accustomed to the smell. As the animal breathes in the fragrances, it will become calmer and easier to manage. Cats metabolize things very differently from dogs and other animals. Certain oils are potentially toxic to cats and could result in injury or even death if applied incorrectly. For example, cats generally have adverse reactions to citrus products, and citrus oils are sometimes used to deter cats from frequenting an area. Also, cats are very sensitive to strong odors, so go slowly and use caution and common sense when applying oils to cats, and be sure to monitor how they respond to the oils. Always allow your cat(s) to sniff an oil first, then give them the option of leaving the area should they not care for the aroma. Should you have questions or concerns, please feel free to contact me directly, as I am happy to help give you further guidance from the Essential Oils Desk Reference, or from The Animal Desk Reference. Also, feel free to scroll through previous posts to learn more about how Young Living Essential Oils can benefit your animals, and you!